The invaders are back and their next mission is you! White gold 18 kt and 5 high grade diamonds. 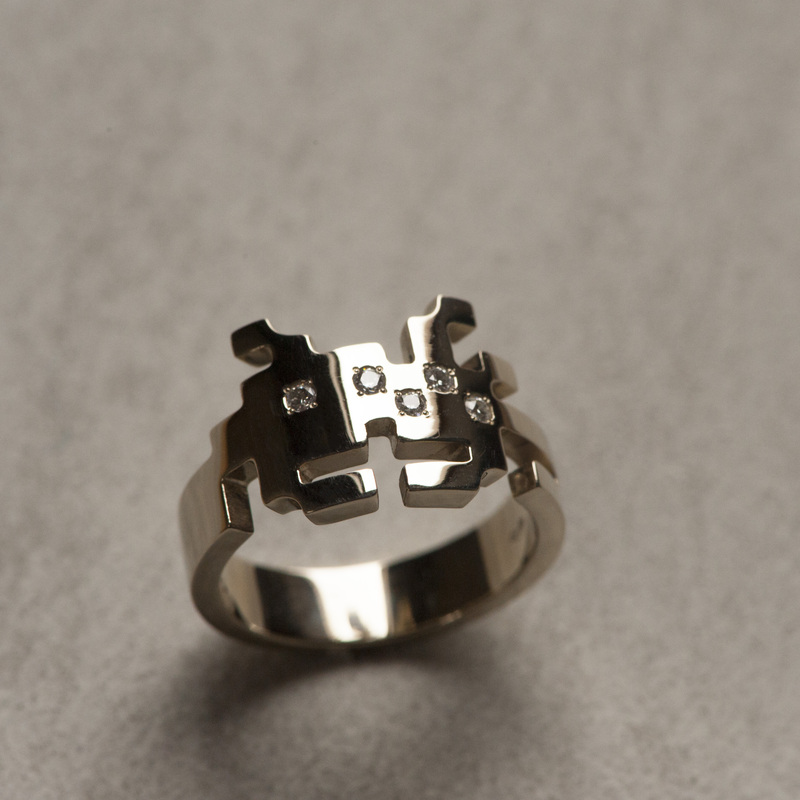 Please specify your ring size upon order. 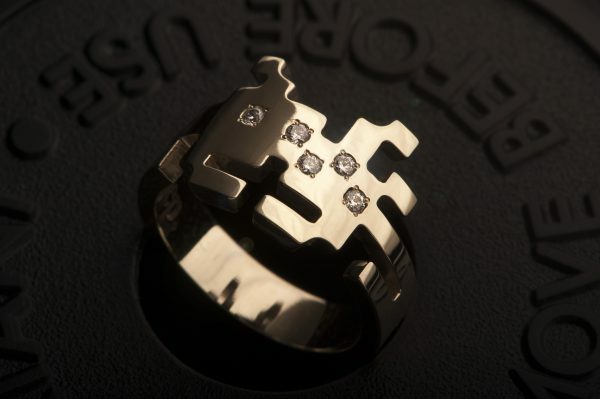 The rings are made individually upon order by one of the best ring makers in Antwerp. Delivery time: approx 6 weeks.